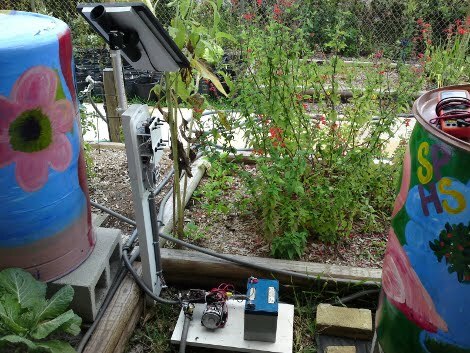 [Dmritard96] built this automated watering system to keep his garden growing while he’s out-of-town. It uses rain barrels, which capture and store rainwater, as a source. These barrels provide very low water pressure so he’s added a battery-powered pump along with a solar array for recharging. Don’t worry, if the rain barrels run dry there’s a float sensor that will switch the system over to city water and stave off those wilted leaves. 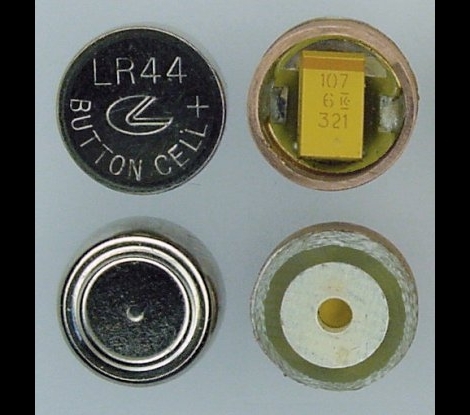 Here’s an interesting idea: replace a disposable coin cell battery with a capacitor in order to filter the noise from an external power supply. [David Cook] is taking advantage of the falling costs of digital calipers. He’s mounted one on his milling machine but noticed that with an external power supply the readings would sometimes reset in the middle of his work. The LR44 cell he’s replacing makes for very difficult in-place soldering so instead of permanently replacing it he built an insert that matched the form factor. The outer ring is from a piece of copper tubing and soldered to a PCB that he etched. If [David’s] name sounds familiar it’s because we featured his Happy Meal toy scavenging a while back. We see it all the time, a post based on an Arduino board with multiple comments calling it overkill. How exactly should you control your homemade peripherals if you’re not using a microcontroller (uC)? 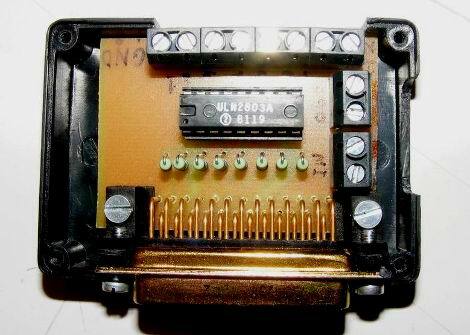 [JKAbrams] and [Tim Gremalm] answered that question with this printer port (LPT) adapter. They wanted an indicator light when someone in an IRC room was talking to them. By connecting a blue rotating light through a relay to the output of this fob they’ve done just that, but there’s room for much more. The adapter uses a Darlington transistor array IC to protect the computer. A resistor between the LPT and the base pin on the chip ensures that current flow will be well within the safe levels for the computer. The Darlington transistor amplifies the output using an external power supply in order to drive heavier loads. If you want a deeper understanding of the printer port check out this tutorial. LPT ports are becoming less common and that’s why so many projects are migrating over to USB (plus there’s no need for external power with most USB connected projects) but if you’ve got one, it’s probably not being used for anything else.